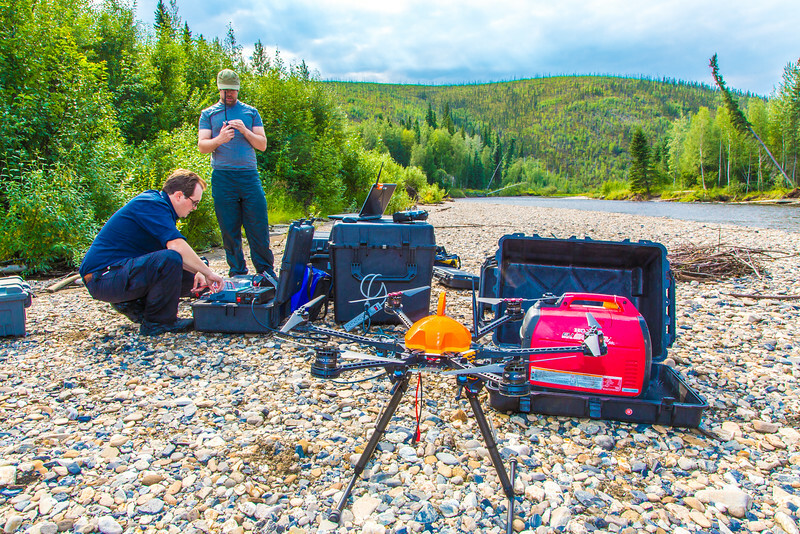 Trevor Parcell, left, and Carl France with the Alaska Center for Unmanned Aircraft Systems Integration (ACUASI) set up a piloting station on a gravel bar along the upper Chena River. The UAV pilots were taking part in a joint effort with the U.S. Fish and Wildlife Service to collect video of important king salmon spawning habitat.